Padders brings us 0406/78 REPOSE COTTON. 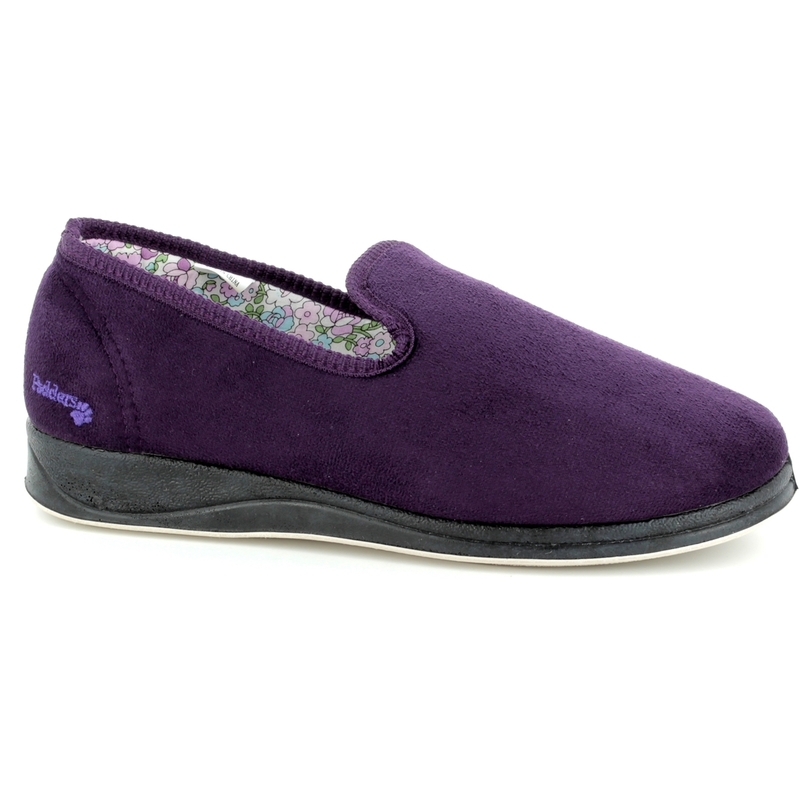 The incredibly popular Repose slipper is now available with a cotton fabric lining which is perfect for warmer temperatures. 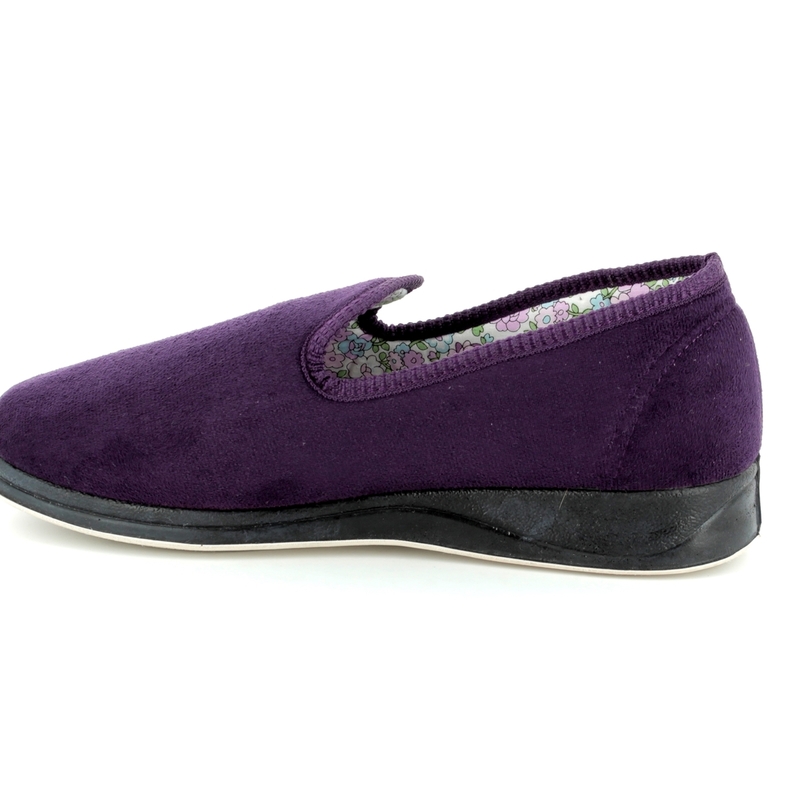 These wider fitting slippers are an EE fitting and are easy to slip on. The memory foam footbed moulds to the shape of your foot to help eliminate painful pressure points for increased comfort. The sole is made from rubber for greater traction while wearing. 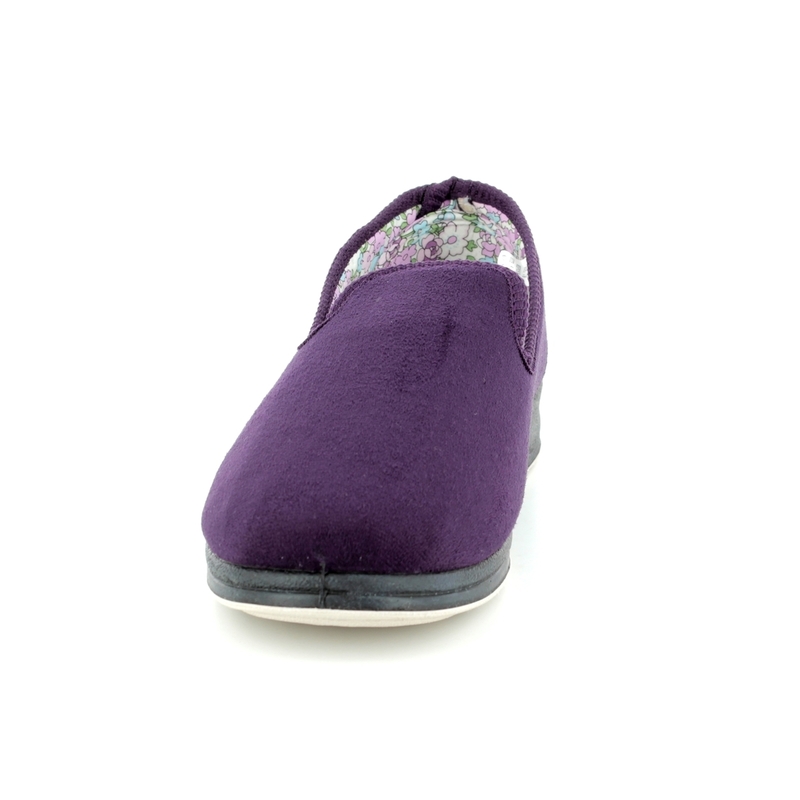 The contrasting patented lining is also stitched over the top line of the slipper for added comfort. The heel height measures approximately 2.5cm. 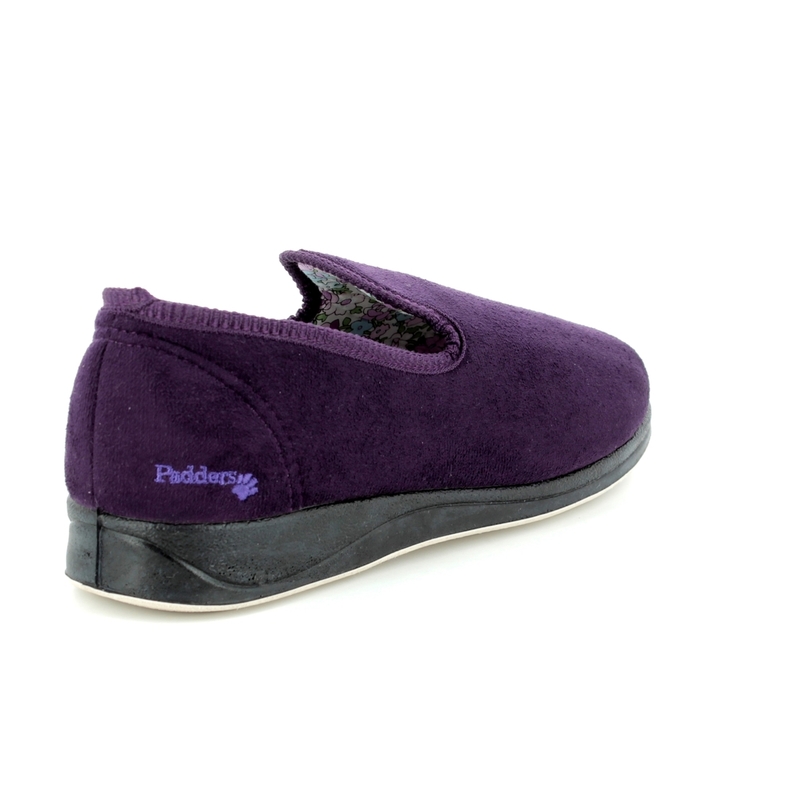 Buy your Padders women's slippers from Begg Shoes, an official Padders stockist.